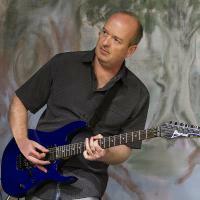 Andy is a professional guitarist and guitar teacher. He has played at UK Festivals and on live radio. He composes, records and arranges his own music. He holds a distinction in the highest grade of guitar playing and also plays keyboards, mandolin and drums.